Continental is a name known for the global tyre brand, however Continental also manufactures many other products for transport under the VDO product brand. One area it is heavily involved in is tachographs, with its R&D team striving to be at the forefront of their development. Chris Peat visited the company’s Birmingham headquarters and spoke to the experts in this field to get an insight into the increasingly high tech world of tachographs. Second Generation: From 1 October 2011, a number of technical changes to the design of the Digital Tachograph was introduced. These included amendments associated with the interpretation of Regulation 3821/85, new Tachograph Calibration Centre practices, the process for entering manual entries simplified and the re-definition of the calendar minute. The new ‘One Minute Rule’ calculates driving time according to EU Regulation 1266/2009, so drivers can save driving time during the working day. For example, assuming a driver is making a delivery and the vehicle becomes stationary after 29 seconds of driving within the calendar minute and is at work for the remaining 31 seconds, then the whole minute will be recorded as work, rather than driving. Third Generation: From 1 October 2012, the Digital Tachograph was required to have improved security features. For example, the regulation required that in order to detect manipulation of motion data, information from the motion sensor must be corroborated by an additional and independent sensor capable of detecting vehicle movement. An event will be triggered when a zero speed measurement is contradicted by motion information from at least one independent source for more than one uninterrupted minute. The system will also react to a magnetic field which disturbs vehicle motion detection. In such circumstances, the vehicle unit will record and store a sensor fault. According to Peter ‘the VDO Digital tachograph also records additional data that is not required by legislation which can be used for incident or collision analysis’. For example, in addition to the mass memory data, later VDO digital tachographs store detailed speed data for the previous week of driving time (168 hours ‘detailed speed’ 1Hz information) in a separate memory area and this can be accessed via a printout or download. Furthermore Peter pointed out that ‘all VDO tachographs store collision data at a resolution of 4Hz, one minute before and after a collision’. Later VDO digital tachographs also give early warnings when a Driver Card is about to expire, when a periodic inspection is due and when a Driver Card download is due. Also graphical printouts can be produced, which make evaluating data easier and faster and include detailed speed data and seven day mode activity profiles. 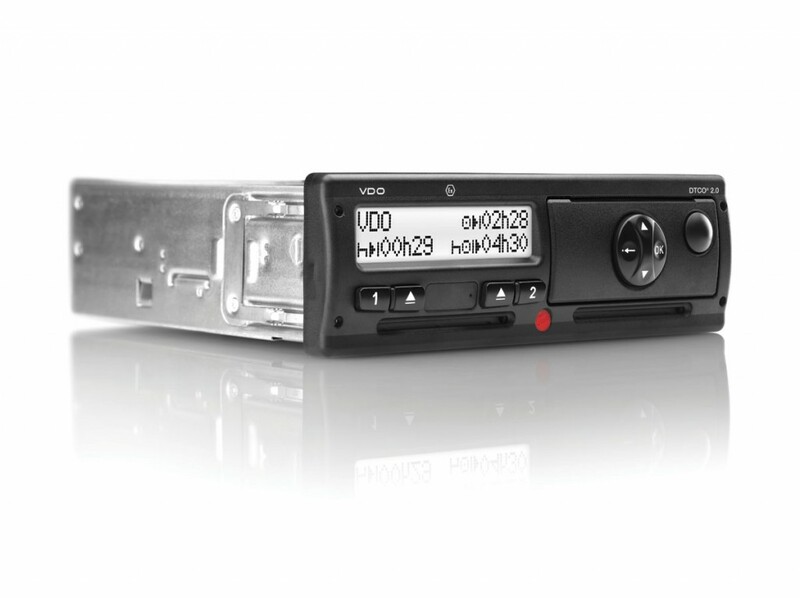 Many of the third generation VDO digital tachographs include a VDO Counter which provides the driver with real time information on current driving, work and breaks/rest times. Using this data, it is possible for drivers to plan routes and times more efficiently. One glance at the digital tachograph display and the driver knows immediately the time and duration of the next rest period. 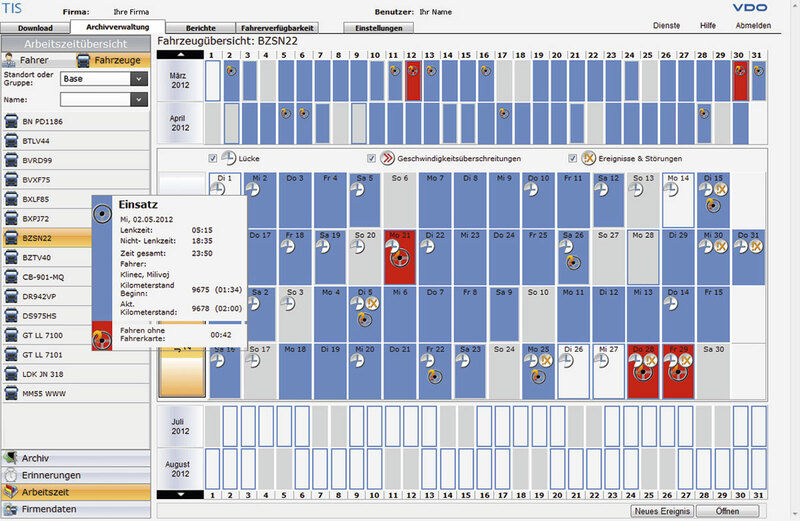 It is also easy to view the remaining driving time for that day or week and required daily and weekly rest periods. Peter also indicated that ‘more companies are looking at remote downloading of mass memory and Driver Card data’. The benefit of this is that it supports compliance, especially when vehicles are away for long periods of time or the company’s depots are widely dispersed. It also allows data to be downloaded more regularly. A remote download device securely downloads mass memory and Driver Card data by wireless technology and transmits the encrypted data to the office computer via GPRS. The download process is controlled from the office computer, so that the Company Card can remain in the office without having to insert it into a digital tachograph. Driver and vehicle data can be securely downloaded in compliance with the legal requirements and can be transferred directly to TIS-Web (Continental’s analysis system) or a data archive which can be forwarded onto a third party’s analysis system. VDO’s latest third generation digital tachograph (Release 2.1) has the option to record GPS data. 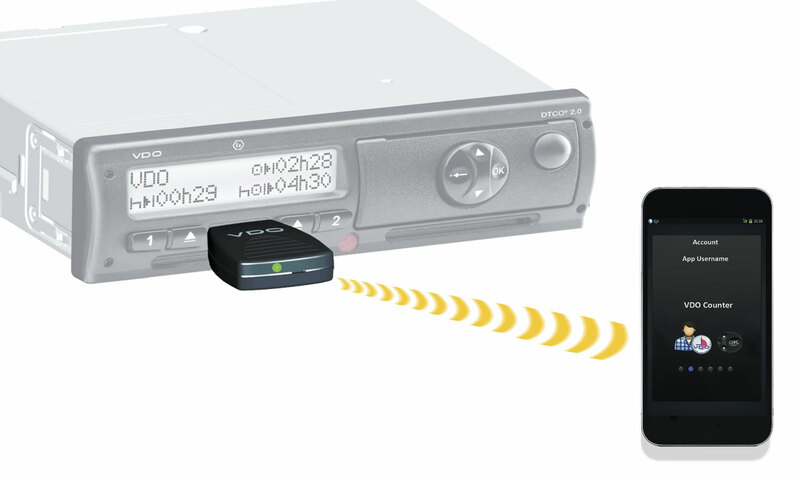 A GPS-Receiver (GeoLoc) provides the digital tachograph with vehicle position data and the stored GEO co-ordinate data inside the device can then be downloaded manually using a download tool or remotely using a Remote Download Device and then can be uploaded into TIS-Web. Peter indicates that ‘using the TIS-Web Mapping Service a road map can then be displayed enabling fleet managers, to view vehicle journey data, including for example delivery locations’. The storage of GPS data can be seen as a precursor to the fourth generation of tachographs (EU Regulation 165/2014), set to be introduced to the market in 2019, according to Peter. Following Peter’s presentation, Continental’s Programme Manager (Data Management), Manjeet Degun, described how the company’s tachographs fit into its wider transport intelligence systems. The origins of this can be traced back to their tachograph data analysis package which has now developed into what is called Transport Intelligence Systems over the internet (TIS-Web), emphasising the change from just being a tachograph based system to a much wider encompassing package. TIS-Web is now a transport management system hub; a portal into fleet activities for operators. It combines tachograph data management; mapping (tracking and tracing); two way messaging; daily vehicle checks and remote driver card data download into one area. All that is required to set up the solution is a suitable computer with internet access. The information can be viewed from anywhere in the world using the web. The tachograph data is archived and also allows users to evaluate data collected from across the operation. This data is then made available for viewing or reporting using their extensive range of driver’s hour’s legislation and driver/vehicle management reports. The system can also be configured to deliver automated reports via email delivery to one or more recipients. Lately, Continental has moved into smartphone apps for better fleet management, which ties in well with its TIS-Web concept: the TIS-Web Fleet app. 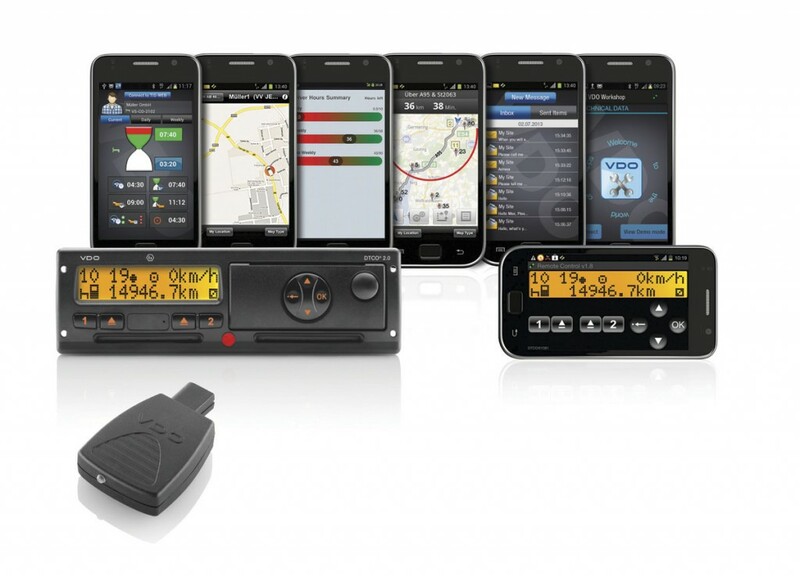 The TIS-Web Fleet app consists of several functions and communicates with the tachograph via Bluetooth dongle-like device called the Smartlink, which connects into the tachographs front interface communication port. The Smartlink can connect with a smartphone up to 10m away. The remote control function of the app recreates the tachograph’s screen on the phone handset, affectively turning it into a remote control for the unit. This is useful for drivers in cases where the tachograph is fitted out of the driver’s easy reach. The TIS-Web Fleet App can also be configured to automatically provide reminders on the day the driver’s card needs downloading. The messaging function of the app is used to achieve this and the driver card can then be downloaded and the data sent back to the TIS-Web system using the Driver Card download function of the app. All the driver activities on the Driver Card can also be viewed using the app’s calendar function. Next is the VDO Counter that shows all remaining driver rest and drive times. This can be viewed at current, daily or weekly levels. The VDO Counter data, along with the GPS location of the smartphone, can be sent to the TIS-Web hub every five minutes, providing fleet managers with this important information. The daily vehicle check function of the app allows drivers to send in their daily vehicle checks into TIS-Web. The fleet management system part of TIS-Web can then be used to manage these reports and order any action needed to be taken as a result of them. Designed to aid vehicle walk round checks, drivers can use the application to report on any defects or damage. It allows comments to be logged and up to two photos to be added per check to further illustrate any problem. One of the advantages of this is it takes away the paper work involved in checks, freeing up storage space, as well as working out cheaper than the paper based vehicle checks. The messaging function of the app allows 2-way messaging with drivers. Messages can either be sent individually or to a group of drivers at once with up to 1,000 characters per message. This can be controlled via TIS-Web. The TIS-Web Fleet app is available for Android based smartphones and can be downloaded from the Google Play app store. It will shortly be available for Apple (IOS) devices as well. Continental believes smartphones and other internet enabled mobile devices are the way forward in terms of driver communication and fleet management. It believes many drivers already have their own such devices and expects many more to have them in the future. It may well have been the case that tachographs were seen as a necessary evil, something that had to be used to stay on the right side of the law. However, with the work Continental’s VDO brand has done to develop them for uses outside of keeping track of drive times, it is arguable that this is simply not the case anymore. The tachograph unit can be used as an essential part of a wider fleet management system thanks to TIS-Web. With the fourth generation to come in a matter of years, we look forward to seeing how else VDO will improve the world of tachographs.